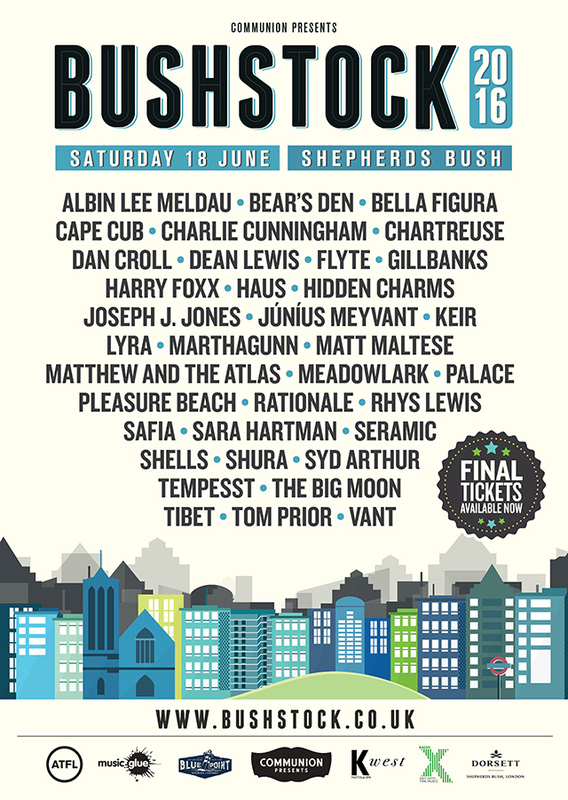 Singer-songwriter Shura is the final headliner to be added to the line up for Bushstock 2016. The annual one-day multi-venue music even in West London returns for its sixth year on Saturday 18 June, giving fans the opportunity to see some of the most exciting up-and-coming talent alongside established names. Final headliner Shura joins Matt Maltese, Lyra, Rhys Lewis, and Shells to complete the festival lineup alongside the already announced Bear’s Den, Albin Lee Meldau, Bella Figura, Cape Cub, Charlie Cunningham, Chartreuse, Dan Coll, Dean Lewis, Flyte, Gill-banks, Harry Foxx, HAUS, Hidden Charms, Joseph J. Jones, Junius Meyvant, MarthaGunn, Matthew & The Atlas, Meadowlark, Palace, Pleasure Beach, Rationale, Rhys Lewis, Safia, Sara Hartman, Seramic, Syd Arthur, Tempesst, The Big Moon, Tibet, Tom Prior and VANT. Bushstock 2016 will feature 5 official stages including St Stephen's Church, Bush Hall, and local pub The Defector's Weld. There will also be a stage at the Sindercombe Social which will lies en route to the outdoor stage, which will be located in the courtyard out-side the K West hotel. This 450-capacity space will also play host to some of London's best food traders through-out the day. All Early Bird tickets are sold out and the final remaining tickets, priced at £32.50, are now on sale via www.bushstock.co.uk.